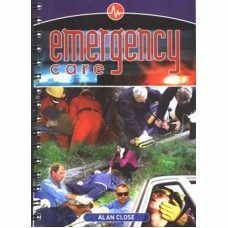 Alan Close Managing Director and founder of LifeAid is the author of the ‘Emergency Care’ manual: This comprehensive and compact guide to Emergency Care and First Aid is an essential companion for any individual, workplace first aider, or healthcare professional.Whether for the home, workplace, or holiday location, this is a must-have reference manual. Updated regularly ‘Emergency Care‘ contains the most current information available. This manual is distributed to universities and numerous training providers around Australia and overseas. LifeAid’s laminated A4 poster emergency cue-card is a fantastic tool for guiding immediate action in emergency response situations. Stick it up at work or on your fridge at home. Package Deals – Class sets and quantity orders are welcome.